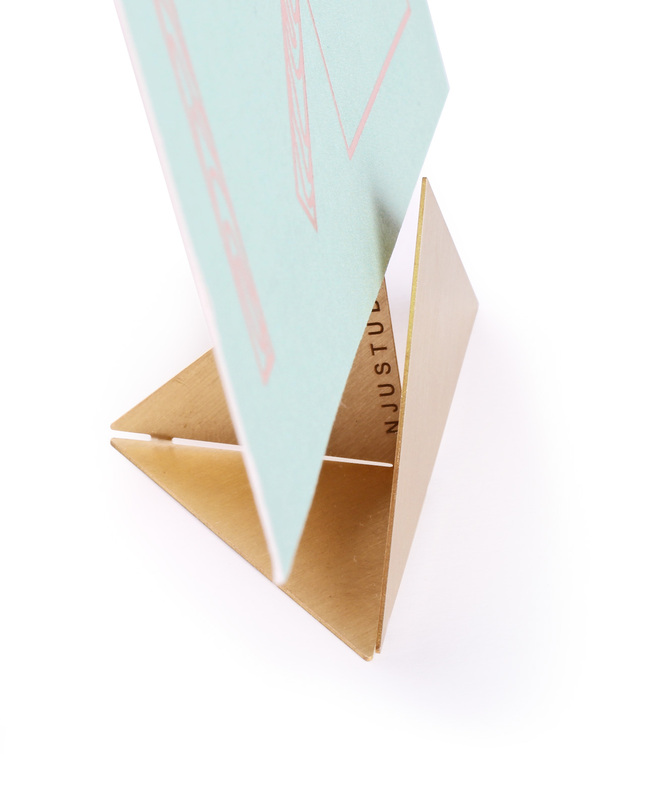 Hold – Fold. Hold. Remind. Letters written on postcards, “vintage” photos on paper, and the backsides of admission tickets with phone numbers hurriedly scribbled onto them are beginning to vanish. 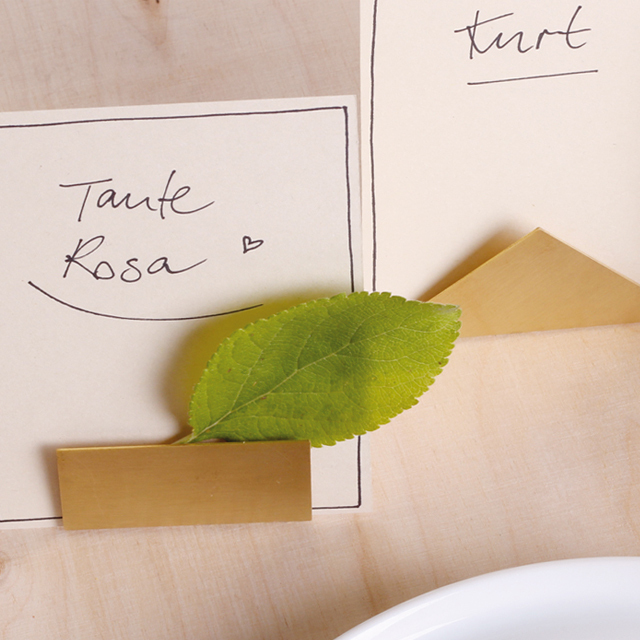 The puristic table decoration, HOLD, works against this forgetfulness. 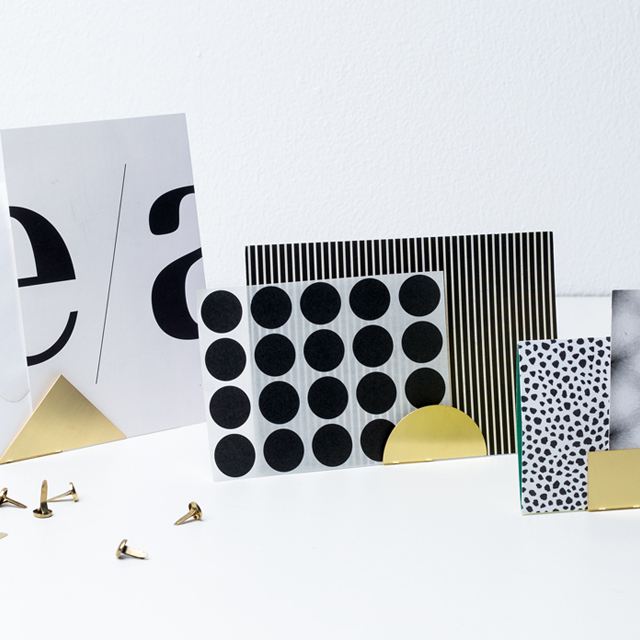 Geometric shapes such as triangles, half-circles and squares made of untreated brass hold anything you like: postcards, letters, photographs… even business cards, invitations, or seat reservations. HOLD holds, what you wish to hold. Puristic in form and material. HOLD is made of untreated brass and gets a fine patina after a while. In the course of time every piece becomes unique. 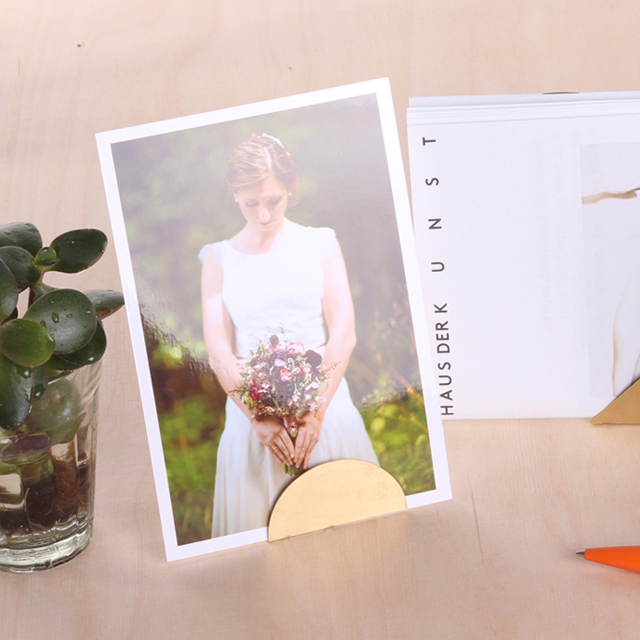 The Set of 3 comes in a pretty Njustudio giftbox. Ready to be given away – or even to keep it yourself. Sent flat and ready to be bent to your liking! Hold is delivered flat – you have to get it into shape! 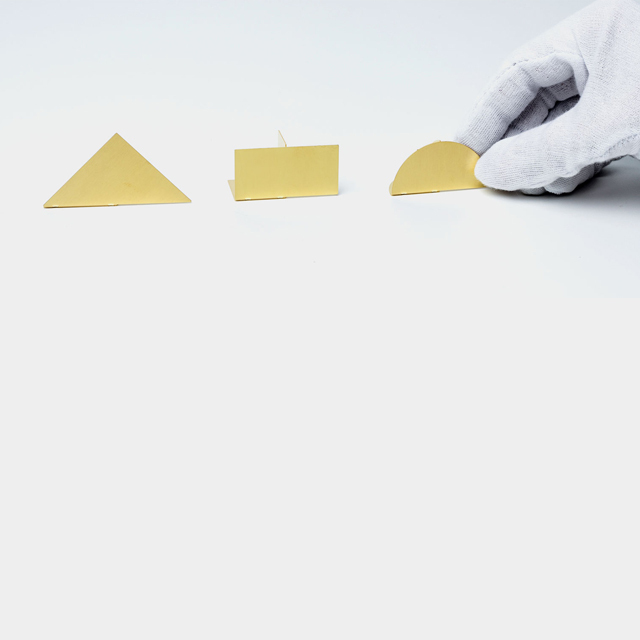 Folded, the fine brass jewellery turns into a golden picture holder. 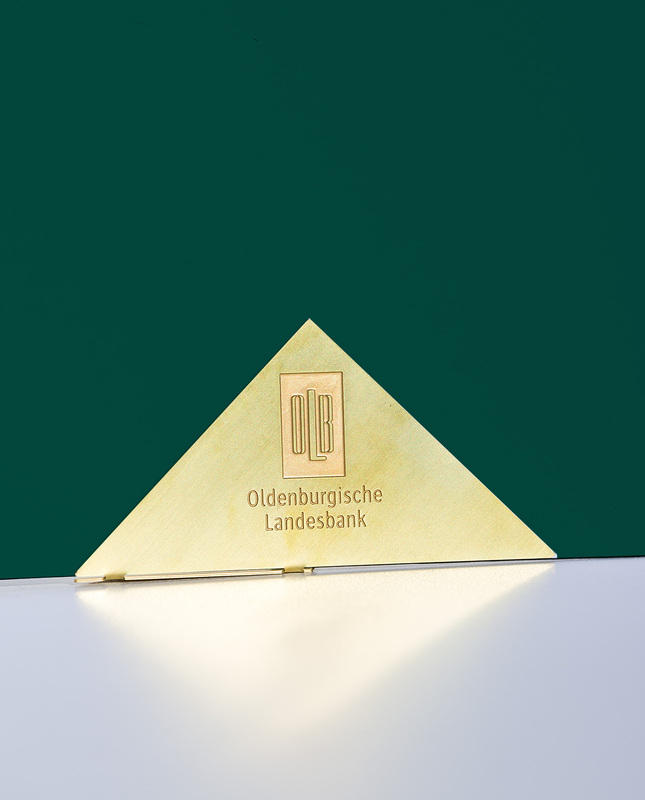 Used as a noble holder for table cards or as a special wedding or birthday present – HOLD can be individualized with your logo! From an order quantity of 150 pieces we can label HOLD especially for you. 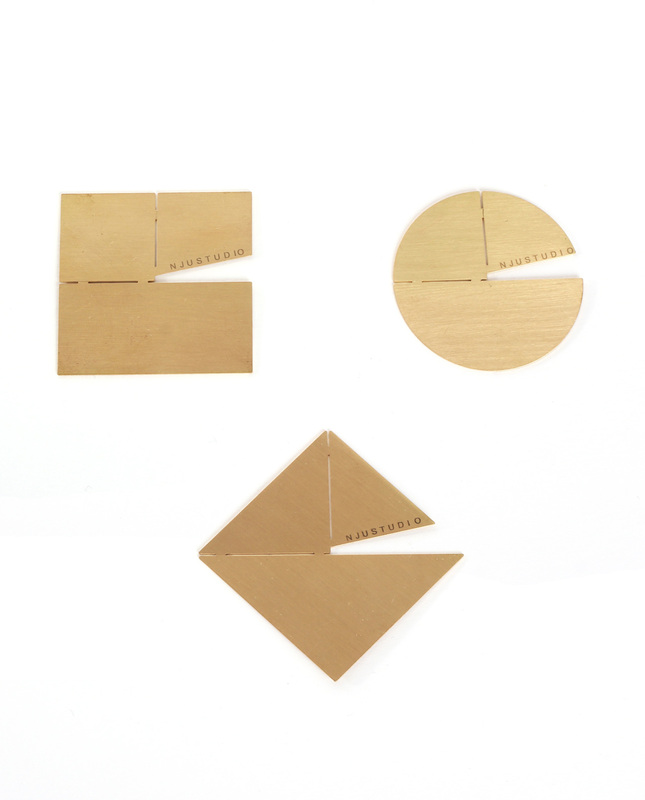 Individualize HOLD - from minimum 150 pieces. Shop – buy HOLD in a set of three!